01 For the cheese monks, combine the rub ingredients together. 02 Cut the cheese into half inch cubes and wrap the ground beef around each cube. Make sure none of the cheese is visible, as the meat needs to cover the cheese completely. 03 Liberally dust the beef with the rub. 04 Wrap the slices of streaky bacon neatly around the beef. 05 For the sauce, combine all the sauce ingredients together in a saucepan. 06 Bring the sauce to a simmer for 10-15 minutes. 01 Prepare the barbecue for indirect heat, around 120°C. 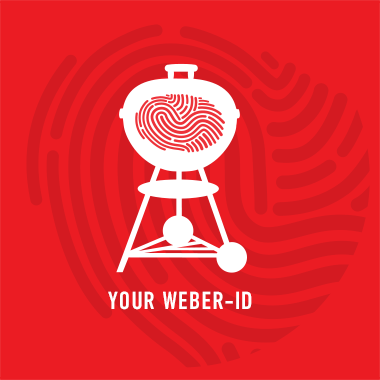 If using a charcoal barbecue, you need 1/4 of a Weber Rapidfire Chimney Starter of lit briquettes. 02 Place the moinks on the cooking grate. 03 Add a handful of presoaked Weber Wood Chips in a flavour of your choice to your charcoal. 04 Cook the moinks for one hour. 05 Take the moinks out of the barbecue and slather the sauce over each moink then return to the barbecue to glaze for a further 15 minutes. 06 Slice in half and serve immediately.